Want to see all the patterns in this issue? View the lookbook here! This is the Fibre Muse that sings the song of my heart, because I’m a Mystic myself, so it was especially fulfilling for me to create this collection. 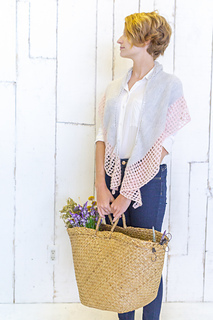 The patterns alternate between simple, meditative stitches and more complex lace patterns to create a knitting experience that will truly resonate with you as a knitter, and the inspire Mystic Muse inside of you. 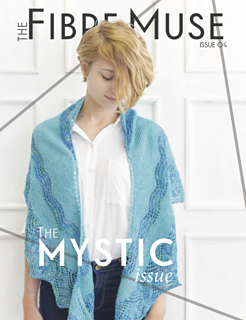 The Mystic issue was designed to help you take a step back from the hustle and bustle of the world and immerse yourself in the meditative act of knitting. 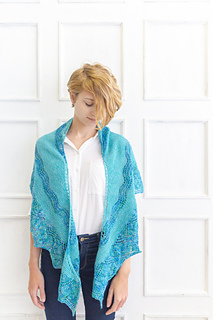 This issue features 7 patterns, all designed with The Mystic in mind. These are the patterns that call you to in the midst of your daily rush, and invite you to slow down and make time for yourself. They are full of soothing, feminine colors and light, lacy textures to fill you with tranquility and remind you to enjoy the little things. 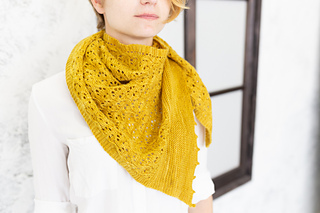 The pattern collection features a cowl, a top, a pair of socks, and four shawls; each one makes a perfect warm-weather project to knit or to wear. Lily, Potion Yarns, and The Australia Wool Store. For this issue, I’ve also included some new and upgraded pattern features, which I think you’re going to love! Each pattern comes with charts and written instructions, plus row-by-row stitch counts in an easy-to-use table! The whole point of this issue is to encourage you to let your knitting eliminate your stress, not to make you feel stress about keeping track of stitch counts and repeats. So sit back, relax, and enjoy the ride! 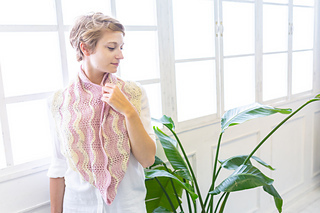 As always, you’ll receive full tutorial and pattern support with every purchase.